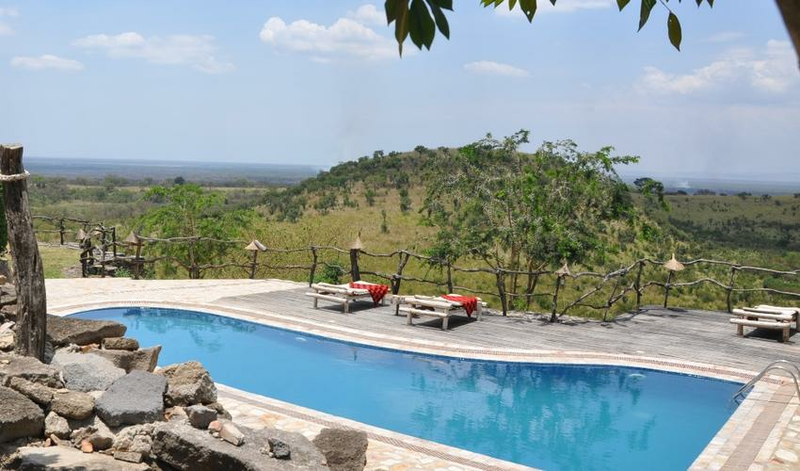 Kyambura Game Lodge is located on the eastern edge of Queen Elizabeth National Park. 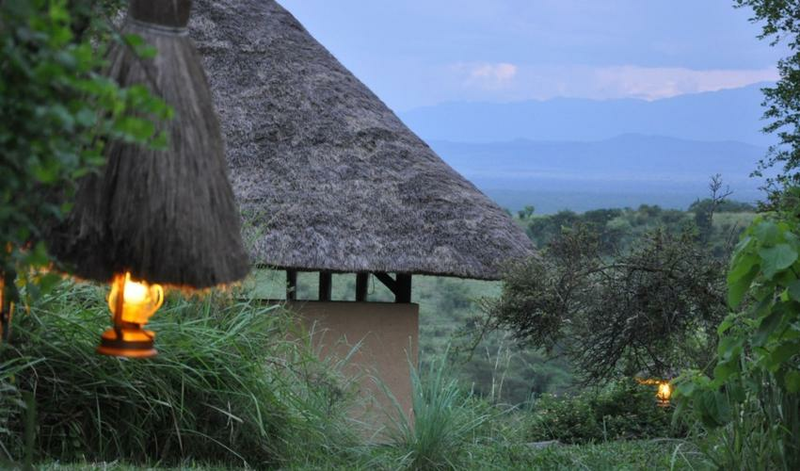 Sitting atop a hill, it has stunning views of the park and the Rwenzori Mountains and it’s only a short distance from the Kyambura Gorge. The park has a diverse range of wildlife including 100 mammal species and over 600 bird species, making this an excellent safari destination. In addition to the habituated chimps, you may also stumble upon elephant, tree lion, and giant forest hog. 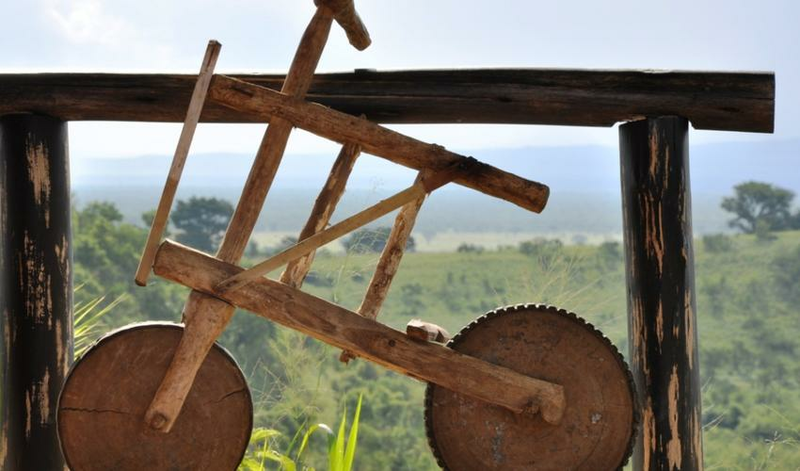 The lodge itself has been built by local hands using only local materials. 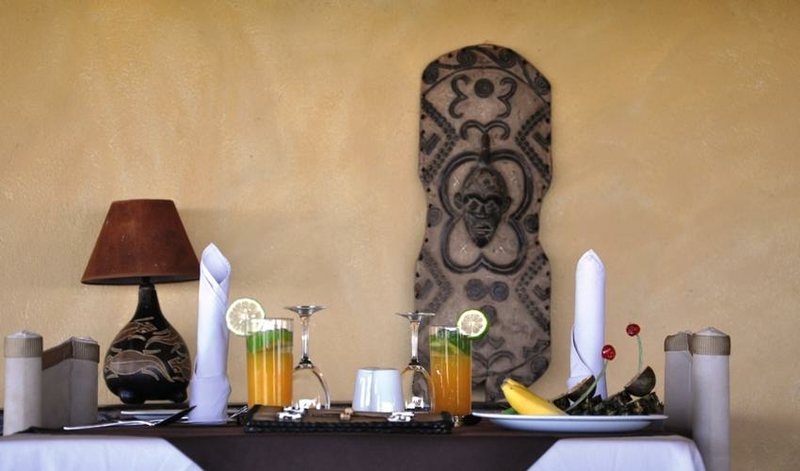 Accommodation consists of 7 cottages, each equipped with private verandahs overlooking the park. They’re all spread out amongst the bush to ensure privacy for their guests. The swimming pool, lounge, bar, and firepit are popular places for guests to congregate throughout the day and evening. 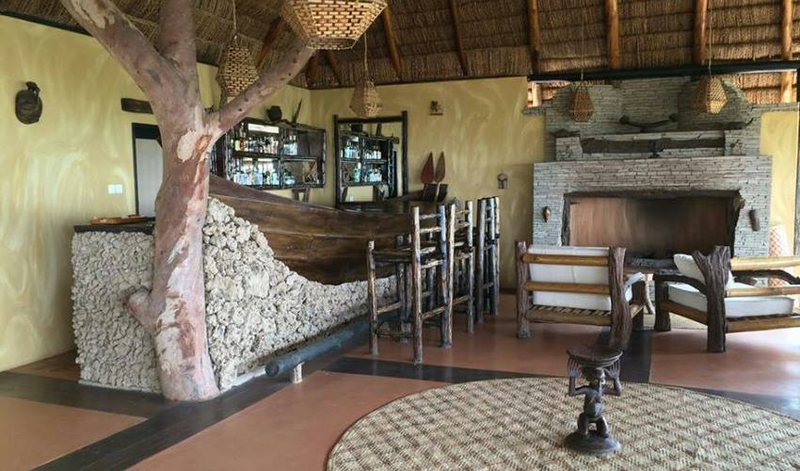 The restaurant boasts incredible views of the park and served a fusion of both international and local cuisine prepared from the lodge’s own organic garden.